Whether it’s your first visit to Africa or your third time at Samara, it’s always helpful to have a bank of pertinent information at your fingertips, from the best seasons in which to visit us to our recommendations for packing essentials, and not forgetting those all-important driving directions. If you need any assistance or guidance in planning your stay, don’t hesitate to get in touch and we will be happy to help. A visit to Samara and the Great Karoo is a great addition to a Cape Town-to-Kruger or Garden Route itinerary. Our local town, Graaff-Reinet, is the 4th oldest in South Africa and full of history and heritage. Alternatively, combine malaria-free bush and beach by combining Samara and the coast, for instance at Plettenberg Bay or Knysna. For first time visitors to South Africa keen to spot the Big Five, we can confirm that Samara is home to all five (elephant, black rhino, buffalo, lion and leopard) but please note that due to historical persecution in the area, leopard are seldom seen. Given the wealth of biodiversity and experiences on offer at Samara, as well as the vastness of the reserve, our focus is not on ‘ticking boxes’ and pursuing the Big Five ad nauseam – accordingly, you are unlikely to see all five during one game drive. If this is what you are after, but you are still interested in experiencing Samara’s unforgettable vistas and intimate wildlife encounters, we recommend pairing Samara with another reserve that offers a more traditional Big Five experience. There are plenty across South Africa, including in the Eastern Cape just a few hours’ drive from Samara. We will be happy to assist you in selecting one to suit your needs. A minimum of 3 nights at Samara is recommended in order to experience all that the reserve has to offer. Many of our guests choose Samara as a destination in its own right, spending up to a week with us – and becoming part of the extended family! 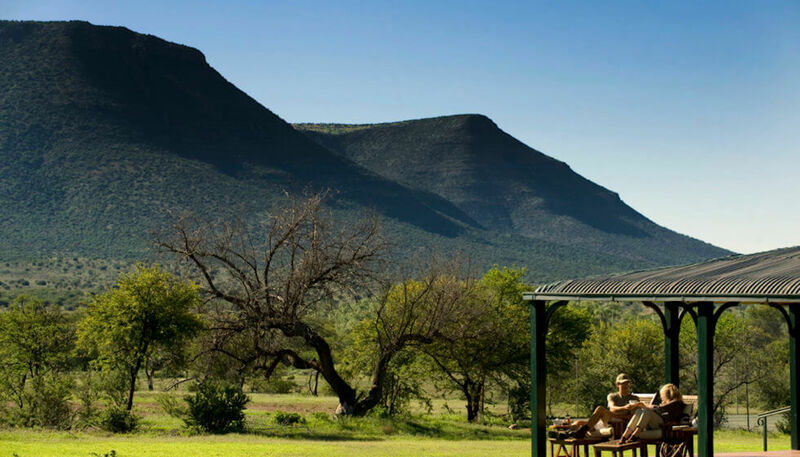 Longer stays provide ample time to both relax into the slower Karoo way of life and explore the diversity of the landscape. We can also help arrange tours to surrounding attractions, such as the historical town of Graaff-Reinet, the Valley of Desolation and the artistic hamlet of Nieu-Bethesda. Day trips can only be accommodated when we are not busy with in-house guests, and cannot be booked more than 1 week prior to the preferred date. These day trips are strictly subject to availability and may not be possible on a given day for logistical reasons. Preference is given to overnight stays. Should a day trip be available, this will include a meal (lunch or high tea) and a 3-hour game drive. Please note that priority concerning what wildlife to locate or which areas to explore during the drive is given to overnight guests. We do caution that a single game drive is no substitute for an overnight stay at Samara. We highly recommend a minimum of 3 nights (2 full days) in order to get a full taste of the Samara experience.